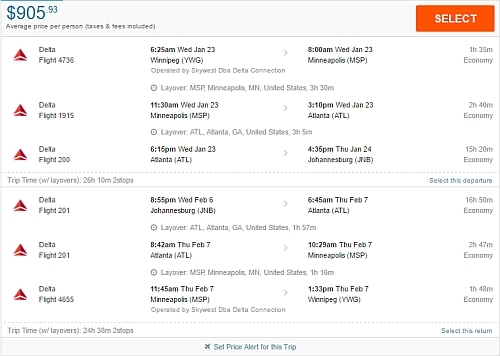 KLM has dropped the price of some of their November flights from Winnipeg to South Africa and Tanzania down to between $898 and $910 CAD roundtrip including taxes. This is 40% cheaper than the typical best roundtrip prices from Winnipeg to South Africa or Tanzania. The flights have 2 stops each way, in Calgary and Amsterdam. NOTE: For longer trips, you can try mixing and matching dates from different lines in the list above. 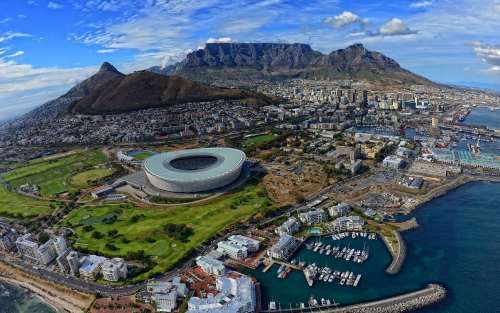 Update 3/31 - There are now quite a few more flights from Winnipeg to Johannesburg, South Africa (JNB) for $905 CAD roundtrip including taxes in January and February 2019.
winnipeg, ywg, flight deals, klm, cape town, south africa, cpt, johannesburg, jnb, tanzania, dar es salaam, dar, kilimanjaro, jro, africa and east africa.